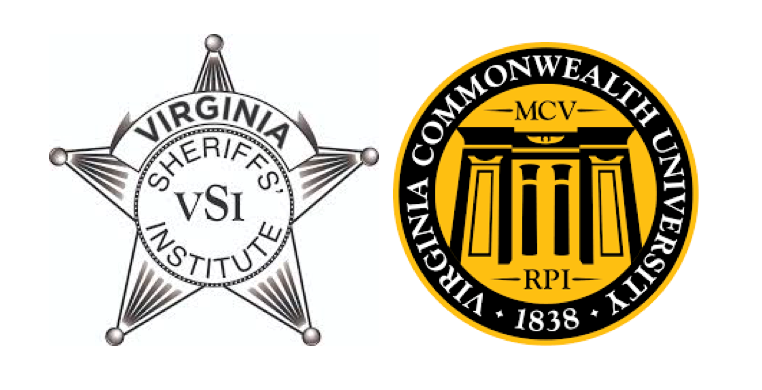 The Virginia Sheriffs’ Institute is pleased to announce the inaugural class of the VSI Certification Program. This program promotes, recognizes and elevates the continued individual professional development of Virginia’s sheriffs and deputies. 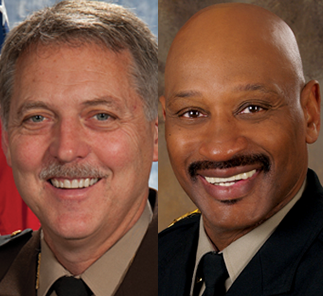 Sheriffs and deputies serving in the Commonwealth of Virginia carry immense responsibilities as the guardians of their communities, providing effective public safety services balanced with the fair and equitable treatment of every individual they encounter. 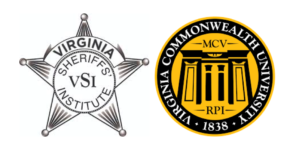 The VSI Certification Program was developed by the Virginia Sheriffs’ Institute (VSI) in cooperation with the Virginia Sheriffs’ Association (VSA), the Performance Management Group at the L. Douglas Wilder School of Government and Public Affairs at the Virginia Commonwealth University (VCU) and the Virginia Center for Policing Innovation (VCPI). VSI will recognize and present participants of this inaugural class a certificate of completion at its spring conference April 25-27, 2018. For more information, please visit http://certification.vasheriffsinstitute.org/. Select a sheriff Adams, D. T. "Duck" Agnew, James L. Allen, Timothy A. Allin,, H. E. "Bucky" Amos, Mark A. Armentrout, Mark R. Arthur, Beth Balderson, C. O. Baron, Joe Barrick, L. Mark Bittle, S. Stephen Blalock, Christopher J. Brown, Michael J. Brown,, James E. Bushey, David P. Carter, Timothy C. Chapman, Michael L. Charboneau, John R. Clark, Fred S. Clarke, James R. Compton, Connie S. Craddock, L. Trevor N. Craig, Brian J. Crawford, Vanessa R. Cubbage, Chadwick W. "Chad" Decatur, David P. "DP" Deeds, Robert J. Dempsey, Steve F. Diggs, J. D. "Danny" Doughty,, David L. Draper, Steve M. Dunagan, W. Keith Dye, Steven L. Fortune, Ashland D. Foster, C. Ray Gardner, John B. "J.B." Giles, Ernest L. Godwin, Todd E. Hall, Kevin W. Hamilton,, W. Randolph Harding, J. E. "Chip" Harris, Roger L. Harris, E. C. Harris,, Joe Hawkins,, R. W. "Bobby" Hess, Eric B. Hieatt, Brian L. Higgs, Paul W. Hill, David W. Hill, Glendell Hines, David R. Hodges, Darrell L. Holder, Chris Holmes, W. A. "Arnie" Hutcherson, Steve A. Hutcheson, Bryan F. Irving, Antionette V. Jarratt,, William T. "Tim" Jenkins, Scott H. Jones, Alan M. Jones, Thomas D. Kephart, Steve M. Kidd,, W. G. "Billy" Kincaid, Stacey A. Lawhorne, Dana A. Leonard, Karl S. Letterman, Barry E. Lippa, A. A. "Tony" Lyons, James R. "Doc" Maples, David H. McCranie, Patrick McEathron, Daniel T. McLaughlin, J. J. "Joe" Millholland, L. W. "Lenny" Millirons, W. Morgan Mondul, Michael S. Moore, Michael A. Morgan, Gabe A. Mosier, Robert P. "Bob" Neil, David A. Newman, Fred P. Noaks, Carlos J. Nunnally, Brad W. Oakes, Ronnie Orange, J. Eric Overton,, W. Q. "Bill" O\'Sullivan, Jim Parrish, Larry J. Parsons, Gary B. Partin, C. H. "Hank" Perry, Lane A. Plecker, Robert W. Prince, D. Keith Reed, Wesley W. Roberts, Brian K. Roberts, B. J. Robertson, Matthew H. Roper, Anthony W. "Tony" Roseberry, Thomas J. Shuler, B. C. "Chip" Sloan, Donald T. Smith, Donald L. Smith, Steven S. Smith, Daniel M. Smith, Stephan B. Sprinkle, Ronald N. Stanley, Scott Staton, April M. Stolle, Kenneth W. Stutts, J. B. "Jack" Taylor, Michael W. "Mike" Taylor, Les R. Townsend,, Arthur Turner, Carlos Vaughan, Richard A. Viar, Ernest "EW" Wade, Michael L. Walker, Ricky L. Walton, J. S. "Jeff" Warren,, Darrell W. Weaver, Erik J. Wilson, Todd B. Worrell, Michael W.